MILWAUKEE, WISC., May 4, 2018 – The Additive Manufacturing Users Group (AMUG) today announced the winners of its annual Technical Competition, which was held during the group’s 30th annual conference in St. Louis, Missouri. A panel of industry veterans selected Andrew Sliwa of Custom Prototypes and Ed Graham of ProtoCam as winners of the competition. Andrew Sliwa’s winning entry in the Advanced Finishing category was a stunning recreation of a Praetorian Guard helmet that, according to legend, Cleopatra gave to Mark Antony. Lost to time, Sliwa’s team built on research to create a digital model that fueled metal and polymer additive manufacturing processes. The metal pieces were painstakingly polished and plated in copper, nickel and gold. The jewels, which were printed in clear photopolymer, were dyed and painted to present the grains of precious stones. Showing prowess in additive manufacturing, as well as finishing, Custom Prototypes printed each individual strand of the helmet’s crest and then dyed, plasticized and coated the plume before shaping it with hot air. 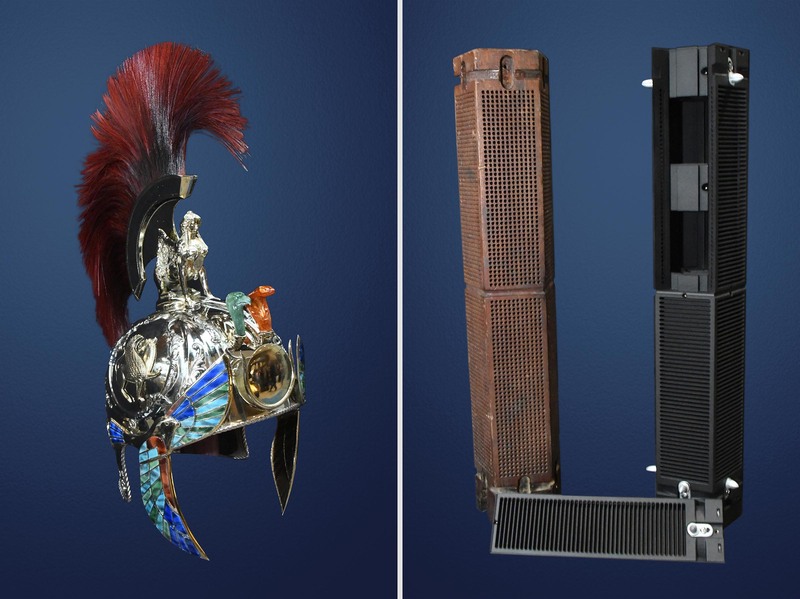 AMUG Technical Competition winners: (left) Andrew Sliwa’s Pretorian Guard helmet and (right) Ed Graham’s carpet loom drive assembly (original assembly on left). Ed Graham’s winning entry in the Advanced Concepts category was titled “Old world engineering gets and additive makeover.” That makeover solved a decade-old problem for Langhorne Carpets, which could not acquire replacements for the carpet loom drive assembly from circa-1930s machines. Graham’s team applied DFAM (design for additive manufacturing) practices to reduce weight and replicate 1,000 pilot holes while creating a modular assembly that allows replacement of individual components. The five-piece assemblies were then printed with HP’s Multi Jet Fusion and put into service. For Advanced Concepts, Brain Douglass of DI Labs took second place with a creative gasket installation tool. For third place, there was a tie between Austin Feathers of Barber-Nichols Inc. and Madeline Frank of UW-Milwaukee Prototyping Center. Feathers’ entry used a printed core structure for compression molding of a composite fan blade. Frank’s entry addressed a common problem with her one-piece-construction router chip vacuum. In the Advanced Finishing category, Dhemerae Ford of LaGuardia Studio (NYU IT Research) was awarded second place for “Thor: Goddess of Thunder Helmet.” Chris Keidl of Midwest Composite Technologies took third place with a scale model of the Simplicity Lawn Tractor. 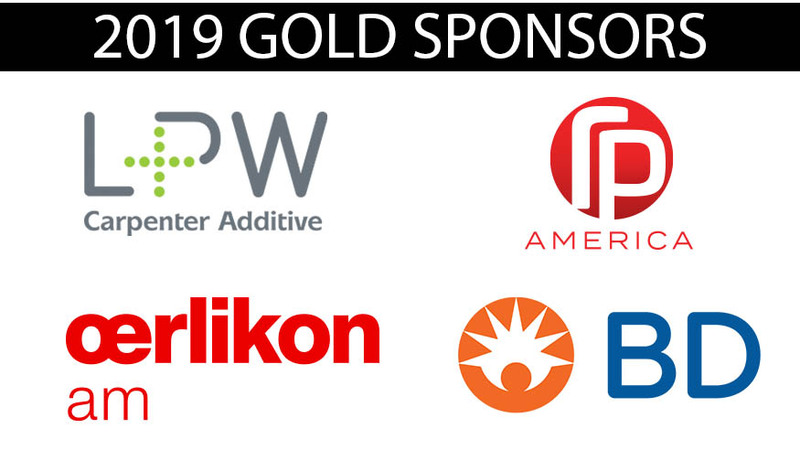 As winners of the Technical Competition, which recognizes excellence in additive manufacturing applications and skill in finishing additive manufacturing parts, Sliwa and Graham each received complimentary admission to the 2019 AMUG Conference and a commemorative award. Judges for the Advanced Finishing category were Todd Reece, Jason Lopes, Bill Braun, Kim Killoran and Graham Tromans. Advanced Concepts judges included Kevin Zaras, Peter Liacouras, Ted Anderson, Gideon Levy and Jim Harrison.